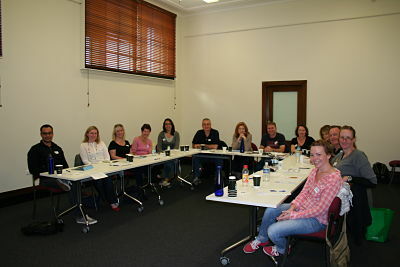 The all day workshop on thriller writing at the Sydney Writers’ Festival went down a storm. I am really touched by the lovely feedback from the participants – thank you guys. You were a joy to teach. Here is a photo of the group and good luck with your writing!